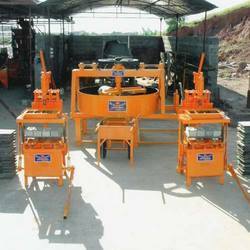 Our range of products include cement concrete block vibro press, brick vibro press and vibro press machine. Our reputation in the market is largely attributable to our precisely designed Cement Concrete Block Vibro Press. The offered vibro press is developed with contemporary techniques as per industry norms using top grade material under the direction of our professionals. This vibro press is completely inspected on several parameters in order to ensure its flawlessness. 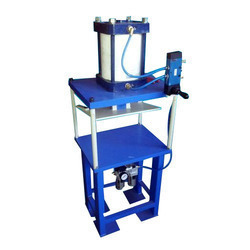 Offered vibro press is provided in various specifications as per the need of patrons. With our sustained efforts & experience manpower, we have been able to manufacture, export, import and supply Brick Vibro Press. 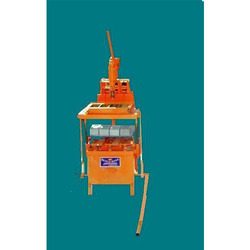 This vibro press finds extensive application in construction industry and various other industries. Our vibro press is precisely developed using the superior quality components & cutting edge techniques. The offered vibro press is well tested on several quality parameters so as to deliver a flawless range. Our organization is actively engaged in manufacturing, exporting, importing and supplying Vibro Press Machine. Our machine is high on demand among customers for its high performance. This machine is developed using best in class material under the guidance of skilled professionals keeping in mind the international standards. Offered machine is examined on several quality parameters for assuring its flawlessness. Looking for Vibro Press Machine ?